Drs. Ian Smith, Eric Winer and Ann Partridge were recognized for their contributions in breast cancer research. The San Antonio Breast Cancer Symposium is the largest annual meeting dedicated to breast cancer research. Each year SABCS attracts thousands of experts from around in the world in clinical oncology, basic, and translational research, as well as representatives from industry, government and patient advocacy. It is a unique opportunity for members of the clinical and research community to hear the latest in the field and to acknowledge the accomplishments and contributions of colleagues. This year, three BCRF researchers were honored with landmark awards. Dr. Ian Smith: 2018 recipient of the William L. McGuire Memorial Lecture. Named in honor of one of the co-founders of the San Antonio conference, this award lecture recognizes an investigator whose career achievements have made an impact on our understanding of the pathogenesis and/or outcome of patients with breast cancer. Dr. Smith was selected as the 2018 recipient for his lifetime achievements that changed the management of breast cancer, including his pioneering work in developing and testing aromatase inhibitors and in advancing the use neoadjuvant (pre-surgical) therapy. In his award lecture, Dr. Smith discussed how biomarkers in the primary tumor can be used to inform appropriate therapy for patients, including reducing the need for surgery. Using a marker called Ki67, Dr. Smith and his BCRF colleague Dr. Mitch Dowsett have shown that reduction in Ki67 after neoadjuvant therapy may be a sign of better prognosis for some patients. Dr. Smith joins twelve BCRF investigators as past recipients of this prestigious award. 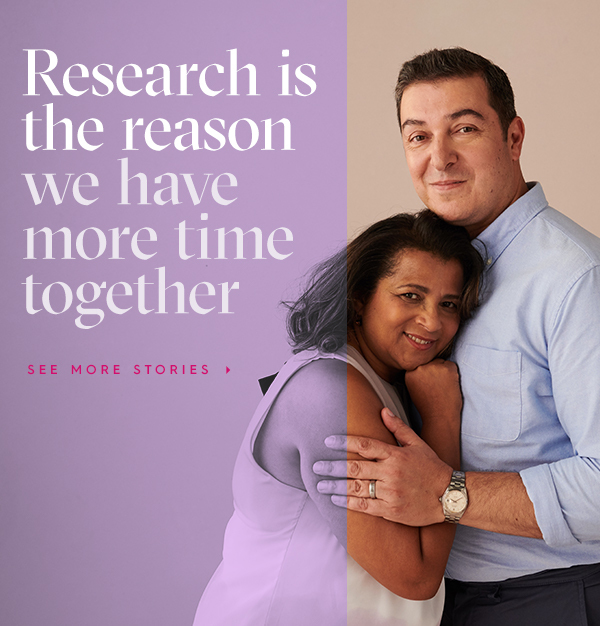 You can read more about the BCRF research of Drs. Smith and Dowsett here. Dr. Eric Winer: 2018 Recipient of the Brinker Award for Scientific Distinction in Clinical Research. Dr. Winer was selected for this award in recognition of his devotion to applying advanced from clinical trials into daily practice to improve patient care and quality of life. His award lecture focused on the subject of treatment de-escalation. He touched on how over-diagnosis leads to over treatment of some women whose screen-detected cancer did not pose a threat, and the need to identify individuals who need more treatment versus those who need less. He ended his talk emphasizing the potential of pre-surgical (neoadjuvant) therapy in identifying patients who will benefit from less–rather than more– therapy. Dr. Winer acknowledged that de-escalation of therapy comes with challenges for both patients, who fear a recurrence and for doctors, who want to give their patients the best care. Dr. Winer joins 25 BCRF investigators to receive a Brinker Award since the award was established in 1992. You can read more about Dr. Winer’s BCRF research here. Dr. Ann Partridge: 2018 Recipient of the AACR Outstanding Investigator Award in Breast Cancer Research. This award recognizes an investigator of no more than 50 years of age whose novel and significant work has had or may have a far-reaching impact on the etiology, detection, diagnosis, treatment, or prevention of breast cancer. Dr. Ann Partridge was selected for the 2018 award for the significant impact her work has had on the clinical epidemiology of breast cancer in young women, and her seminal work focused on understanding and improving their care and outcomes. During her talk, Dr. Partridge emphasized some of the disparities in diagnosis and outcomes in young women (under 40 year of age), including the greater incidence of triple negative breast cancer and HER2-positive breast cancers in younger women compared to older women. Even when younger women are diagnosed with low risk breast cancer, they tend to have a worse outcome than older women. Listen to BCRF’s Facebook Live interview with Dr. Partridge below. Past recipients of the AACR Outstanding Investigator Award in Breast Cancer Research include the following BCRF investigators: Dr. Fergus Couch, 2016; Dr. Yibin Kang, 2014; Dr. Kornelia Polyak, 2012; Dr. Charles Perou, 2009.